Start managing your server within 60 minutes! Novogara is a large dedicated server provider with customers located worldwide, we offer unmanaged dedicated servers and excellent (24x7) customer service. 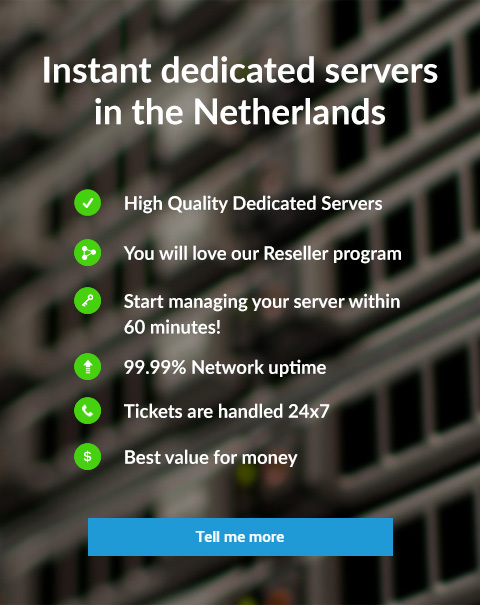 Our servers are all high quality hardware and connected on a very large and rock solid network.